Around 200 of the UK’s top vocational learners were rewarded with gold, silver and bronze medals at the closing ceremony of the Skills Show on November 19. Medals were awarded to the best entrants in 61 different skill areas, with a further 29 young people highly commended for their efforts. It was colleges from Scotland and Wales which emerged as the big winners of the night, with the two countries claiming the top three places on the official medal table. New College Lanarkshire took the top spot with 32 points, bagging the most medals with an impressive haul of four gold, two silver, four bronze and two highly commended. City of Glasgow College, which was best overall in 2015, came second, followed by Coleg Sir Gar in third. 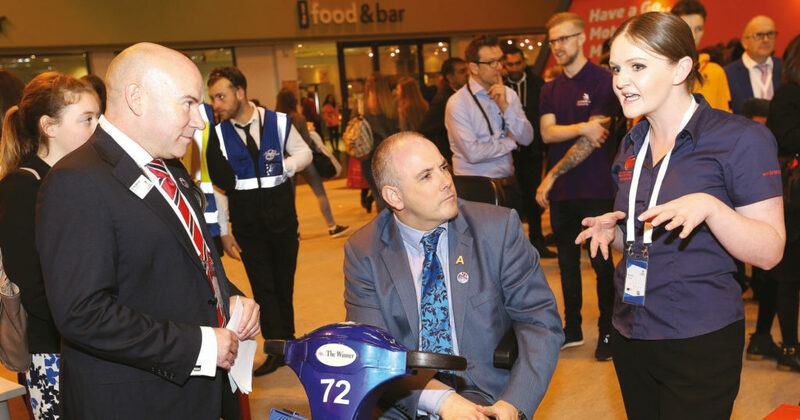 The closing ceremony marked the end of this year’s national skills competitions finals and Skills Show 2016, which saw more than 90,000 people walk through Birmingham NEC’s doors from November 17 to 19. An abundance of careers advice from leading employers such as Dyson and Jaguar Land Rover was on offer at the show, as well as the chance to have a go at more than 50 different skills, and the opportunity to speak to past WorldSkills UK competitors. More than 500 talented young people took part in the national finals where winners were presented with awards at a special evening event, attended by around 1,000 people, which featured an opening speech by Carol Stott, chair of organisers WorldSkills UK and hosted by TV Presenter Will Best. Daniel Pickering, aged 17, won a gold medal in mechatronics for UTC Sheffield, who finished in joint fifth position with 12 points, taking home one gold, two silver, and one bronze medals. Daniel said winning the competition was one of his “greatest ever” achievements. Skills and apprenticeship minister, Robert Halfon (pictured above), visited the show on the Thursday and dubbed it as the “future of Britain”. Speaking with FE Week after the results of the national finals he congratulated the competitors and all involved. “The Skills Show is the future of Britain. It is the competitors that make the show so special and important. All eyes are now turning to Sweden, where 22 of the country’s top apprentices and learners will be going for gold at EuroSkills 2016. They will compete against the top European talent under the age of 25, from more than 30 countries in over 35 different skill areas between December 1 and 3 in Gothenburg. You can download our Skills Show 2016 supplement here. Keep an eye out for our coverage of EuroSkills live from Gothenburg next week.